Here comes another addition to Samsungs new Galaxy A series. 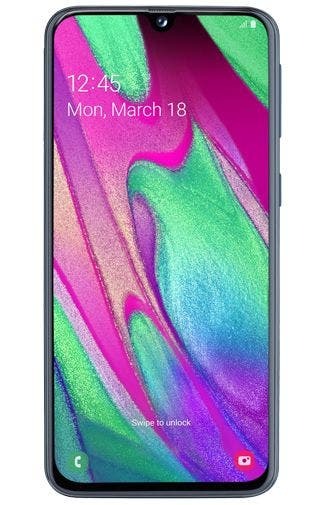 Just when we were drooling over the A20 which is now on sale in Russia, and a set of leaked Galaxy A40 renders, a Dutch online retailer decided to let the cat out of the bag with the listing of the Galaxy A40 for which it is even now accepting pre-orders. 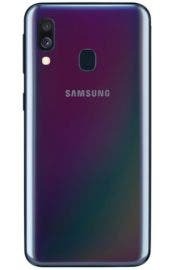 With the listing, it appears the A40 won’t feature in Samsungs April 10 Galaxy launch event, except the Korean company decides to formally present the device. 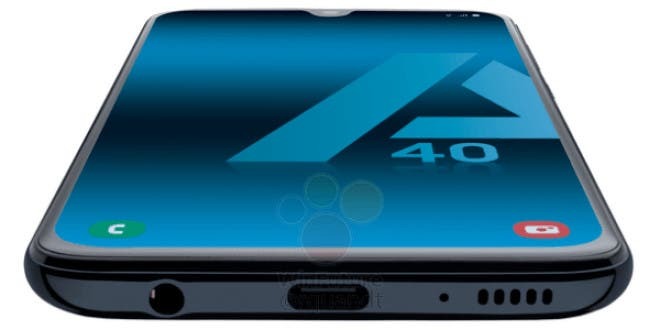 For the Galaxy A40, the renders that surfaced earlier today, and some previously leaked renders appear to be in line with official information revealed by retailer Belsimpel. 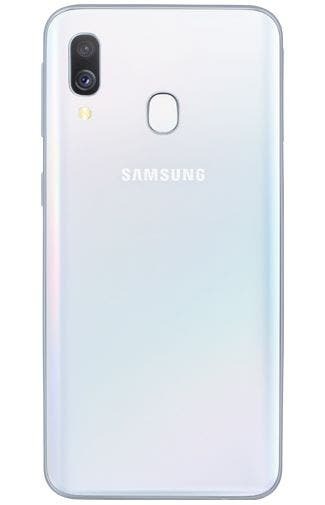 Encased in a body that measures 144.3 x 69.1 x 7.9mm, with Black, Blue, Coral and White hues, the Galaxy A40 retains the A50 front camera sensor – a lone 25 MP sensor and f/2.0 aperture front-facing cam in the U-shaped notch, a dual 16-megapixel regular + 5-megapixel ultra-wide camera setup as well as a fingerprint scanner on the reverse side. It comes fitted with a 5.9-inch FHD+ 2280×1080 pixel resolution AMOLED display, and under the hood is Samsung’s own Exynos 7885 processor with ARM Mali G71 GPU, 4GB RAM and 64GB of storage expandable up to 512GB via microSD slot. Inside the device is a 3,100mAh battery, while it will boot Android Pie with OneUI out of the box. The retailer is at the moment accepting pre-orders, though no word on when it will be released, perhaps the pre-orders will be on until April 10, who knows. The pre-order price is €249.